4/27 • 10am-2pm Free Event! • UVAC LOVE OPEN HOUSE 4/27 8am-12pm • CYCLE-A-THON Sign up TODAY! The Upper Valley Aquatic Center offers many different FREE Yoga and Pilates Classes as well as paid programs like the ones you see here. The schedule of offerings will change as the seasons do. Private Pilates personal training can be scheduled with Jenny Armstrong if theses classes don’t fit your schedule. She is available 10am-2pm, Monday-Friday. If there is space you are welcome to join any Pilates Reformer or Pilates Circuit Training Class for a Drop-In rate of $15 members and $18 non-members. Tell your friends! Questions? Jenny Armstrong is a certified Pilates and Yoga instructor, whose teaching emphasizes fluid, choreographed, and rhythmic movement. She uses precise demonstrations and clear images to help people understand how to embody movement. She also enjoys running, gardening, and hiking often with her husband, 3-year-old son and dog Molly in tow! The essentials of Pilates with the Reformer machine. Sculpt long, lean muscles and challenge your core for a noticeable difference in your posture. Class taught by Jenny Armstrong in the Mind Body Room. 10 classes for $150 members/ $180 non-members. If there is space you are welcome to join for a Drop-In rate of $15 members and $18 non-members. Betsy Ogden is a certified Pilates instructor and has been teaching in the Upper Valley since 2004. 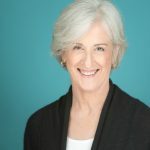 She is the founder of The Art of Going Gray, an online business offering nutrition and fitness coaching for women over 50, a licensed physical therapist, a Precision Nutrition Level I coach and a volunteer peer educator for the American Bone Health organization. 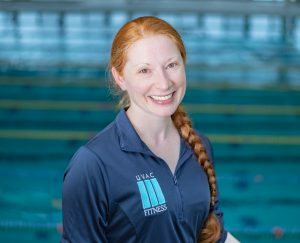 Her interests include using Pilates-based functional rehabilitation for dancers and other athletes, women’s health and active aging. A six-week beginners guide to yoga including: meditation, pranayama, (breath work) and common asana (postures) found in a typical open yoga class. Each week will build upon the one before, adding new postures and variations. This class will give you a new confidence in yourself and your ability to practice yoga safely. For new yoga students and experienced practitioners. 6 classes $90 for members and $108 for non members. If there is space you are welcome to join for a Drop-In rate of $15 members and $18 non-members. Feel strong, calm and ready to be a mom with breathing exercises, yoga postures and meditations to support your journey through pregnancy and birth. Relieve stress, tension and back pain while gaining key strength and stamina for the birthing process. Class taught by Charlotte McFarlin. *4 classes for $60 members/ $72 non-members. If there is space you are welcome to join for a Drop-In rate of $15 members and $18 non-members. Pilates Reformer Circuit training is a class that combines various pieces of equipment from the Reformer to the barre giving you a calorie-burning workout that’s more challenging than a mat workout. Focus on toning muscles evenly to help you achieve a balanced body and improved posture. Some Pilates experience preferred. 10 classes for $150 members/ $180 non-members. If there is space you are welcome to join for a Drop-In rate of $15 members and $18 non-members. All classes are for members and non-members.